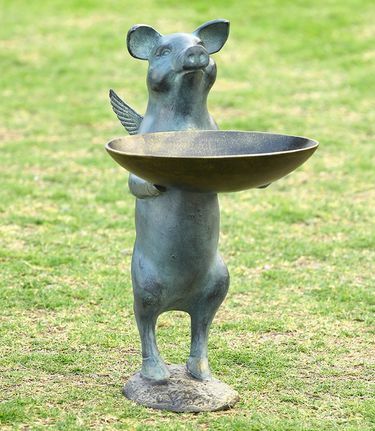 From our top of the line SPI Premium Garden Decor collection, we are thrilled to offer this exquisite new Winged Pig Bird Feeder! Size: 13" x 10" x 18"H., approx 4.5 lbs. Made of Aluminum .